Each survey you fill out will net you 40 Star Gems. That’s a total of 80 Star Gems if you fill out both. More details can be seen in the Survey tabs. There will be no maintenance on January 4th, 2017. Year of the Rooster’s Revival Scratch will begin on January 1st @ 0:00 JST. It will include revivals of popular layered wear and accessories. The scratch will be split into two categories. The first is [Accessory Selection] which will contain accessories, voice tickets, and lobby actions. This will be your chance to acquire items such as the Twitching Cat Ears, Ponytail Wig, and that swinging lobby action. The second scratch [Lucky Bag G] will bundle layered wear sets together. Some of these may come with accessories or hairstyles. It’s time for the 2016 Player Survey! It will be split up into two parts, with one covering PSO2, while the other focuses on the Live Broadcasts. To access the survey, click the blue button located at this page and log in with the username, password, and captcha. You can skip the password change notification by selecting the bottom button. On the next page, scroll down until you see two buttons, the top one will be covered in this tab. Since this is a branching survey, not all questions will appear for you. Are you currently in a team? I do not know about Teams. Have you played [Racing the Phantom Mother] Emergency Quest? I don’t know what Emergency Quests are. For those who’ve played the Emergency Quest, please select your opinion on the following features. For those who’ve played the Emergency Quest, please select your opinion about the following weapons. Are you aware of the Battle Arena coming in Spring 2017? Are you going to play the Battle Arena? If you selected [No] to the previous question, please select all the reasons why you feel this way. Because I can not make a judgement based only on the information we have now. Because I do not know whether or not I’ll be playing PSO2 by the time it releases. Because I’ll be playing other PSO2 quests or contents. Please select up to three quests you’re hoping to see future updates with. Please select all the events and campaigns you’ve participated in. Please rate the Events you selected in the previous question. Please select how likely you are to recommend PSO2 to another person. Please tell us the reason why you selected the above number. You will receive 40 Star Gems in Late January after completing this survey. It’s time for the 2016 Player’s Survey! This tab will focus on the bottom survey that appears after you login. You can access the survey by clicking the blue button located on this page. Which of the following broadcasts have you heard about? PSO2 ARKS LIVE! ONE MORE! Which of the following broadcasts do you actually watch? The following questions are in regards to your opinions on PSO2 STATION. 1. Please select what you felt was good about the program. 2. Please select what you felt was not good about the program. Which video streaming service did you watch PSO2 STATION from? The following questions are in regards to your opinions on PSO2 ARKS LIVE! Which video streaming service did you watch PSO2 ARKS LIVE from? For those who do not watch PSO2 Station, please select from the choices below all the reasons why. Because I personally do not like the hosts. Because none of the segments are interesting to me. Because the show airs at a time I can’t fulfill. Because I’m not interested in the program. Because watching “PSO2 ARKS Live” is sufficient enough for me. Because I did not understand the contents of the program. For those who do not watch PSO2 Station, please select what kind of things you’d like to see in the future. I want to see Stars and VAs I like work as the main hosts. I want to see actively playing Stars and VAs as the main hosts. I want to see an overhaul to the segments. I want to see the broadcasting hours changed. I want to see it on additional channels like YouTube, or non-NicoNico sources. I want to see interesting guests appear. I want to see PSO2 Station and PSO2 ARKS Live combined. 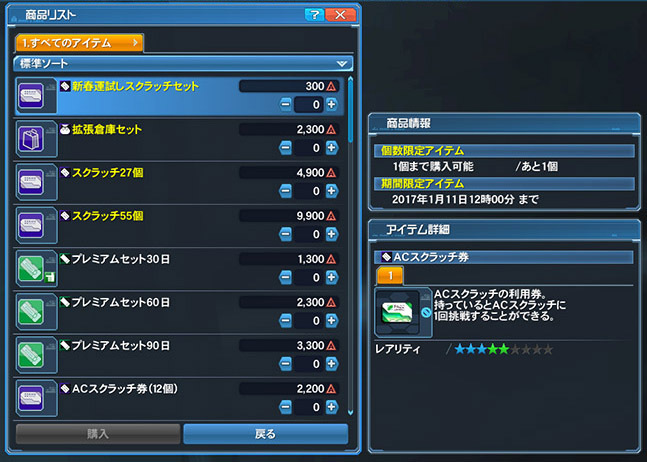 For those who do not watch PSO2 ARKS Live, please select from the choices below all the reasons why. Because watching “PSO2 STATION” is sufficient enough for me. For those who do not watch PSO2 ARKS LIVE, please select what kind of things you’d like to see in the future. I want to see Stars and VAs I like work as the hosts. I want to see developers other than Kimura, appear as regulars. Which Guests should be invited in the future for PSO2 STATION? Which Guests should be invited in the future for PSO2 ARKS Live! [PSO2 Live Broadcast] was updated and became the [PSO2 STATION] program. Please choose from the following which aligns to your thoughts regarding this change. No change between them before and after. 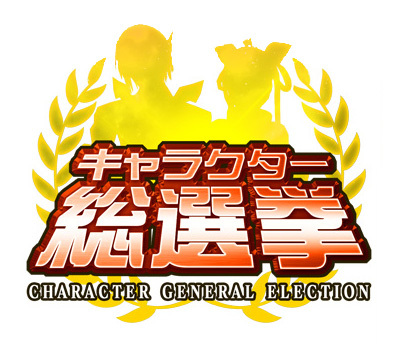 The ARKS New Year Carnival 2017 is kicking things off with a brand new Character General Election! Vote for your favorites among a selection of characters and bosses, many of which debuted in Episode 4. The winners will have new in-game items themed after them. To vote for a character, simply click on the 投票する (Vote) button located in the upper right corner. You can vote for two characters per day in each category. ARKS New Year Carnival is a web interlocking event where players can win rewards by unlocking the panels listed at the official site. The carnival officially begins on January 11th; so until then, here’s a quick rundown of things you need to know in order to participate. Players can earn points by acquiring [WEAPONS Badge 2017], These badges can be obtained through clear rewards from qualifying quests. Players who cleared ALL qualifying quests at least once during the event will qualify for the Item Rewards unlocked through the Web Panels. Weapons Badges awarded through Client Orders do not count towards the tally for unlocking the Web Panel reward. A formal post about the event will be made after January 11th’s maintenance. Phantasy Star Online 2 has won the “PlayStation Network Award” two times in a row! To celebrate, they are awarding players with 100 Star Gems! You can claim these items at the Visiphone. Does the ps4 require psplus to play? I saw an asterisk with psplus but don’t know exactly what it means also can i use my pc characters for the ps4 version ? Do i need to wait time for it ? or something? You will receive them some time in January. once i reach the thank you for your answers screen the survey is done and i can close it right? “I failed to login. The possible causes are as follows. · SEGA ID or password or image authentication is incorrect. – The image for authentication has expired. So can the person who makes the EQ schedule actually list WHICH of the badges League wants? Since I just spent half an hour wasting my time getting gold badges from the EQ when it wants Silver.